Most of us understand by now how harmful our plastic consumption as a collective is for our planet. And it’s no secret that plastic never goes away – literally. Every bit of plastic EVER created still exists and will keep existing (albeit in broken down pieces) until we somehow find a way to eradicate it. But let’s not rely on that as a way out of the mess we’ve created; let’s not lose hope either. It’s an empowering fact – once we accept our responsibility as individuals inhabiting this earth for the current state our Mother Earth is in – that our choices matter and each one CAN and WILL make a difference. To live completely plastic free at this point is unrealistic for most of us. We can get overwhelmed by this marker and end up doing nothing because we can’t do everything, all at once. We can only do our best, and focus on our own actions – not what everyone else is doing, as this take energy away from being proactive. 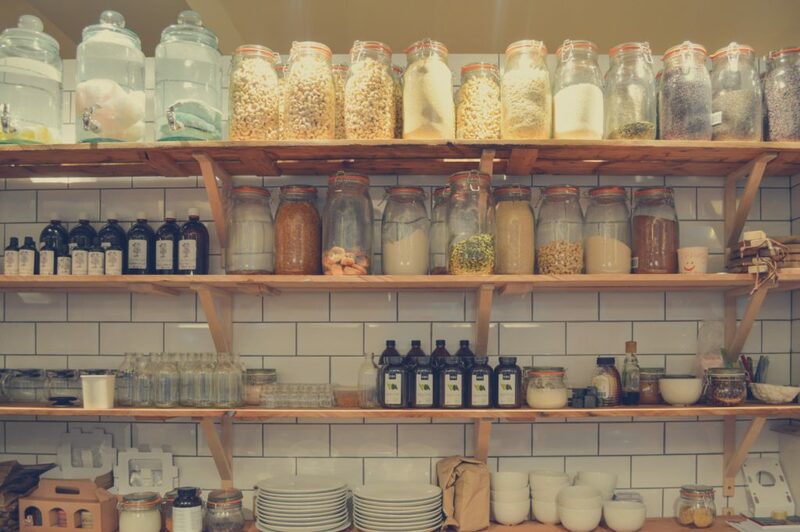 So, here are 10 sweet and easy and most importantly – PRACTICAL – tips on how we can all use less plastic in our everyday lives. Buy one (or a few) reusable produce bags for your shopping. And as it’s all too easy to forget yours at home, make sure you hang them near your doorway close to your keys or keep in your car so they don’t get underused! Throw out your plastic toothbrush – or reuse it to clean your jewellery or around the house before recycling – and start purchasing ones made out of sustainable bamboo you can just throw into your compost heap when they’re done. Make a point to ask the waiter or cashier at every place you buy a cold drink NOT to bring you a plastic straw! It can be tough to remember at first but after a few times of the straw arriving anyway, it will sink in. You can always purchase a bamboo, glass or steel straw to carry around with you if you need one. Get yourself a reusable cup for hot and cold takeaway drinks to carry around with you so you don’t have to use a plastic one. Even the paper cups create waste, and many are lined with plastic. If you’re attending a conference or festival where you know you’ll be buying takeaway drinks a lot, it’s the perfect time to take your cup. Support your local plastic or waste free grocers as much as possible and take your own containers. Recycling is fine, but we have reached a point where it’s not enough anymore! Give up gum. Did you know it’s made of synthetic rubber, i.e. plastic? Make your own cleaning and grooming products, which will eliminate the need to purchase more plastic bottles. And how is this a sweet and easy tip? Making your own cleaning products is actually pretty simple – the base ingredients are cheap and usually things you have lying around the house anyway like table salt, white vinegar, bicarbonate of soda and lemon. Read our past blog posts ARE YOU TREADING LIGHTLY ON THIS EARTH? and LOVE THE SKIN YOU’RE IN NATURALLY for some inspiration. And at the very least, avoid over-packaged food (if you have no other choice) like pre-cut fruit and packets of biscuits and sweets that have been individually wrapped!